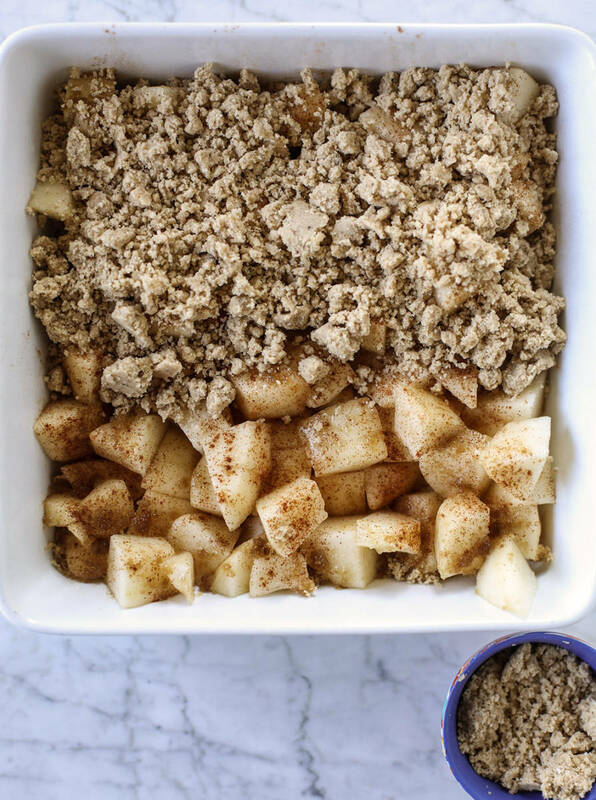 Try this delicious pear crumble recipe from Jessica at How Sweet Eats featuring Harry & David Royal Riviera® Pears. 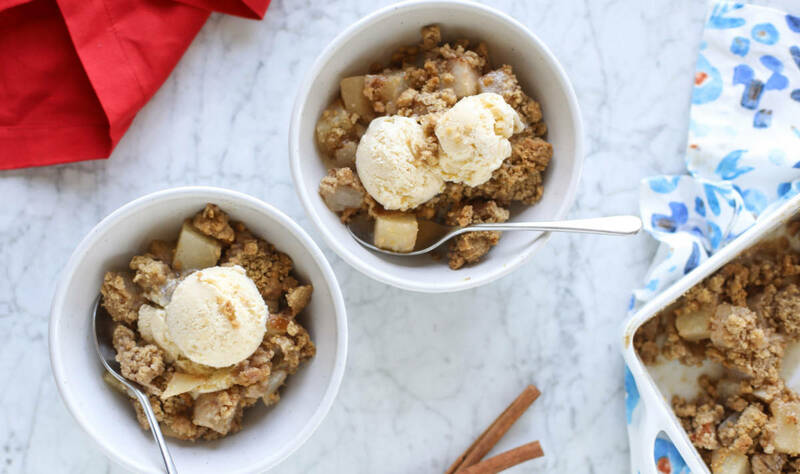 Pass the ice cream scoop, it’s time to crumble! 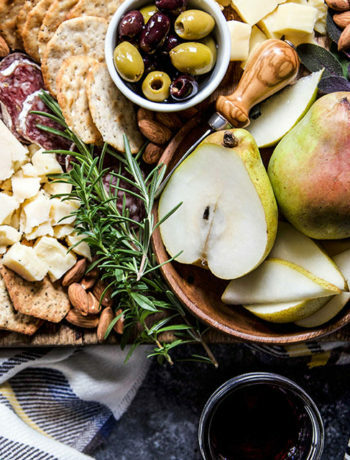 Is there anything better than pear season? I think not! If there is one thing I adore, it’s warm and caramel-y fruit adorned with a crunchy cookie-like topping. It’s warm and wonderful, and when you throw a big scoop of ice cream on the top? Oh my heavens. I can’t even! While I’m all about every version of a cobbler and a crisp, a crumble might be my favorite of the fruit dessert variety because the topping has a little extra crunch. 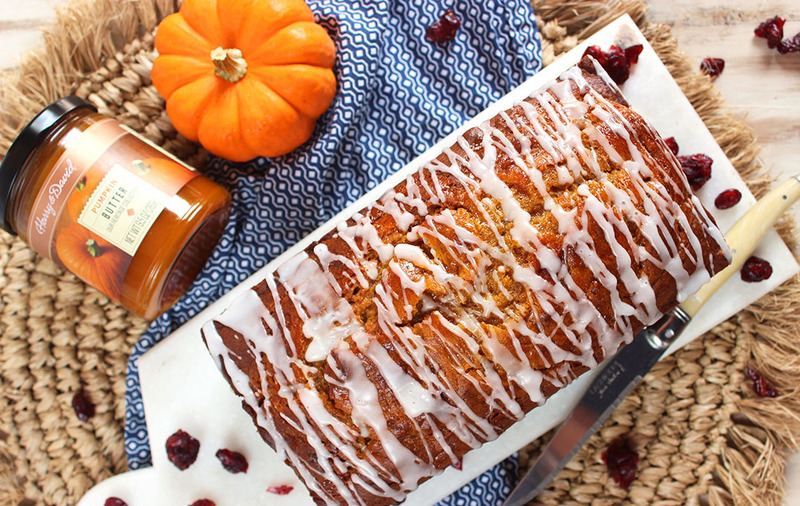 It’s as simple as flour, sugar and butter (okay, and some spices! ), but when baked over top of the pears it gives the perfect added texture. This dessert could not be more simple to make. Just toss Royal Riviera® Pears with a bit of brown sugar and cinnamon. Stir the topping up in seconds and pile it on top of the pears. Then bake it to a golden brown. Your toppings are completely customizable. If you’re like me, you might just stand over the sink and eat this baby from a spoon, but whipped cream, ice cream or even a drizzle of heavy cream hits the spot too! Preheat the oven to 350 degrees F. Spray an 8x8 inch baking dish with nonstick spray. Place the pears in the baking dish and cover them with the brown sugar and cinnamon. Toss well. In a larger bowl, whisk together the flour, sugar, cinnamon, salt and nutmeg. Use a fork to smash in the softened butter, then use your hands to bring the mixture together. You want it to resemble sand and stick together when your hands squeeze it. It will take about 5 minutes to bring the mixture together and incorporate it with your hands. Sprinkle the crumble mixture over top of the pears. Bake for 35 to 40 minutes, or until the crumble looks golden and crunchy on top. Let cool slightly before serving.